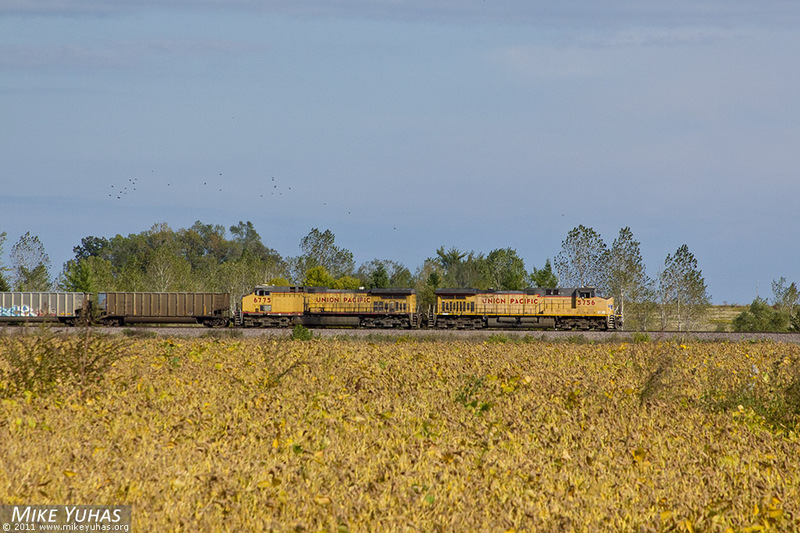 A pair of big GEs accelerate an empty hopper train out of Sheboygan. Another such unit is shoving on the rear in DPU mode. Soybeans seem ready for harvest.